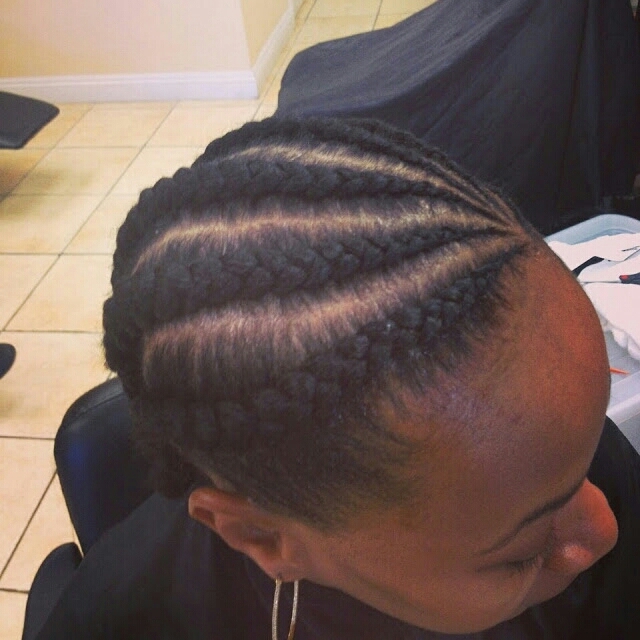 Adja African Braiding & Salon of Las Vegas, Nevada offers Professional African hair braiding services, as well as other hair styling services, such as string and sunburst locks. Our skill in hair braiding stems from a childhood in Africa, where communities function as families, and everyone spends time working on each other's hair. We offer a variety of services to accommodate many needs. If you’re looking for a hair services coupon, we’ve got you covered there too. African braiding techniques are available on any length of hair and are an excellent, beautiful way to express your heritage and personality. If you desire longer hair, our various extension and sew-in techniques create a natural look. You bring the extension that you already own to do full or partial weaves or sew-ins. Removing braids can be difficult for anyone who doesn't have a good deal of experience. We offer braid removal services that avoid damaging hair or hurting the client's hair, and we're very fast. Most often, it takes about 30 minutes depending on the style, though there are a few occasions where it might take up to 2 hours. During removal, we will apply conditioner and water to make sure the hair comes out easily. Whether you're starting a new set of sunburst and string locks, or touching up the end of your existing hairstyle, you can rely on us to provide you with beautiful, professional results every time. Adja African Braiding & Salon is a nice and quiet environment with braiders that know what they’re doing and the value of the customers. Not only do we treat our customers with respect, but our hair braiding services are guarenteed to satisfy your expections.